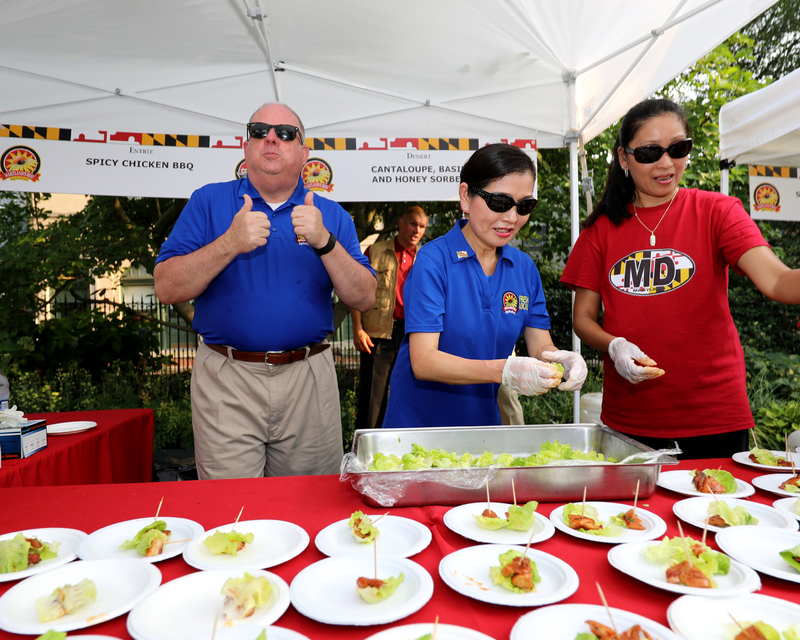 ANNAPOLIS, MD – Governor Larry Hogan invites chefs using local Maryland ingredients to submit original recipes for the Governor’s Buy Local Cookout, which will be held at Government House in Annapolis on July 19. Recipes must be submitted by May 18, and include products from at least one Maryland farmer, waterman, or other producer. Chefs are encouraged to submit simple but creative recipes that showcase ways the average Maryland family can prepare delicious, nutritious meals with locally produced food at home. The cookout promotes the statewide Buy Local Challenge Week (July 21-29), during which all Marylanders are encouraged to eat at least one local product each day of the week. Recipes will be chosen in each of the following categories: appetizer, main dish, side dish or salad, and dessert. Original recipes will be selected based on simplicity, creativity, availability of ingredients, geographic representation, and maximum use of local ingredients. Previously submitted recipes are not eligible. Selected teams will be invited to provide, prepare, and share their dish at the Governor’s cookout. Chefs should note that recipes and bios of team members may be published in the Maryland Department of Agriculture’s 2018 Maryland Buy Local Cookout Recipes cookbook. Complete rules of entry and additional information are available on the department’s website. Recipes should be submitted using this online form. Chefs who have questions should contact Karen Fedor at karen.fedor@maryland.gov or 410-841-5773.